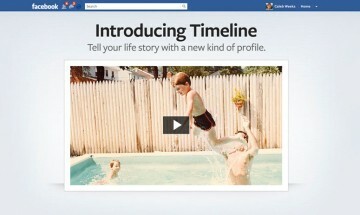 Facebook Timeline launched today. It’s another way to say, “Hey”. Why mention Timeline when companies, organizations, and businesses generally use Facebook Pages? The answer comes with the word, “Subscribe”. Beyond those personal friend requests you might make on Facebook, Timeline can be a way for individuals to share publicly with Facebook’s new(er) subscribe feature. This can make the Timeline layout and features a viable option if you are someone people would like to “Subscribe” to (think “Follow”, like in Twitter) but with whom you may not necessarily be friends. And as an aside for the unsure and apprehensive, are you afraid to be on Facebook for fear of managing friend requests? Timeline and Subscribe can help. You can simply share with others with no expectation (or ability) to be “friends”.